Wicked Zionists have attacked Muslims in Gaza with their military planes and bombardment .. killing people and destroying constructions without showing any mercy or kindness .. Therefore, the Wicked Zionists now are killing the Palestinian brutally ..while the Zionists don't know that their termination has approached. Muslims will be set on you, by God, to terminate you and abase your chiefs. When Muslims will come upon you, no mercy they will show to you, so take lesson from the past, and stop your transgression, and know that America can no longer help you against God's decree. So now stop your offense at once, Wicked Zionists, Shylock party! Remind me again how Israel are the sane ones. Rabbi Pinchas Winston, an acclaimed author and doomsayer, has warned that renewed clashes in the Gaza Strip or ongoing tensions between Israel and Iran over Syria may trigger the next major conflict, which, in turn, may see biblical end-times prophecy come true. 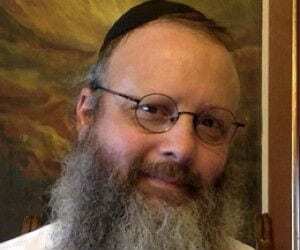 Rabbi Pinchas Winston, whose works over the past two decades have dealt extensively with “The End of Days”, has suggested that the IDF should be ready for a biblical war that may arrive “at any moment without any warning”. He made a reference to a prophecy of the War of Gog and Magog from the Hebrew Bible, which precipitates the Messianic Redemption. According to the Jewish interpretation, Gog and Magog may be individuals, peoples or lands, and are viewed as Israeli’s enemies who will be defeated by the Messiah. “Any student of history knows that hindsight is 20-20 but in the moment, you never know what can set off a war. The First World War was set off by the assassination of Archduke Ferdinand. The 2014 War in Gaza was set off by the murder of three young boys. The same is true for the War of Gog and Magog but even more so,” Winston told Breaking Israel News. He also cited a description by the Vilna Gaon, an 18th century rabbi, of what the War of Gog and Magog may look like, which suggested that it would last 12 minutes and encompass the entire world. This will show the Rabbis are clueless about what is in the NT. Ezekiel:38 and the Gog war. Ezekiel:38 is for the 1,000 year reign and the 'battle' that comes when Satan and all remaining fallen angels in the Pit are released and joined by the ones whose bones are buried in a graveyard in Israel in Ezekiel:39. The people that are there at the end of the chapter are the ones at the start of the chapter that complete the 7 year clean-up and the 7 months of gathering some bones and burying them in a special graveyard that has the name Gog attached to it. The bones belong to the 4 fallen angels that manifest into the 200M horsemen and it is by these being that the 12 Tribes are brought down to being just the 144,000. By the evening of the day Jesus returns and kills all sinners the whole House of Israel will be alive and standing in Israel. If Gog does not exist until 7 years into the 1,000 year reign then they cannot be in a war at the start because part of the vials is the river of blood and that is the death of those angelic horsemen. There are a few clues in Eze:38 that it is the 1,000 years such as Jerusalem is an unwalled city during that time and it is only during that time that the people are living in safety for the first time. An earlier reference to Damascus being part of prophecy that you believe is happening either means you are working off materials somebody has handed you or you missed more than a passage or two of Scripture. The bones of men that dies as part of the return do not have their bones gathered and placed in the City of Gog. Damascus is 1 Gentile city mentioned when all Gentile cities are also flattened. Jerusalem is the first one and it is hit with the same fire that God used on Sodom. All nations means all nations. This guy is promoting nuking several nations, Russia included yet you see him as being as sane as you and I would be the one in error even thought I can point to the flaw. Lets see who the Rabbi is that he should find the lives of the 'lesser races' are earmarked for extermination. Originally from Toronto, Canada, Pinchas Winston received his Rabbinic Ordination from Aish Hatorah in Jerusalem. He s the author of over 50 books on various different topics from a mainstream Jewish perspective. Over the years he has become somewhat of an authority on the topic of the End-of-Days from a Jewish viewpoint. He created the website www.thirtysix.org which houses links to articles, essays and books he has written. Previously, he has taught at Aish Hatorah and other Jewish institutions, and with his background in graphic design has also spent time designing book covers. He currently authors a weekly Torah portion sheet. Go ahead and throw out as many references, if he is flaws on a big one his other ones will be rubbish also. But there are massive palestinian rocket attacks in Isreal. Which are just as effective as the bombs sent to all the democrats. So I take it you both approve of the rocket attacks by Hamas? 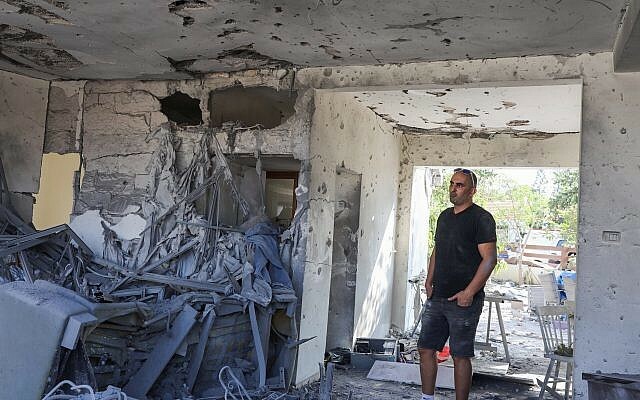 Rocket attacks because they found undercover military walking among them, really? C'mon man take off the blood tinted glasses you are looking at the situation with and think about it a minute. Muslim MADNESS and anti Jew HATE are out of control!!!!!!!!!!!!!!!!!!!!!!!!!!!!!!!!!! Hamas has sworn to DESTROY ISRAEL and the loons like MHz and Torch light and Our idiot Boy Justin are okay with that!!!!!!!!!!!!!!! As ALL CDNS should know- one of the first LIE-beral acts after being elected in 2015 was to RESTORE AID AND FUNDING TO HAMAS!!!!!!!!!!!!!!!!!!!!!!!!! Cdn tax money is CONTRIBUTING to the Gaza MESS thanks to LIE-beral RACISTS!!!!!!!!!!!!!!!!!!!!!!!!!!!!!!!!!!!!!!!!!!! ! The hate is strong in this collective. Probably makes you want to join in the hunt eh?? What other solution is there rather than complete extermination. Hamas doesn't use a warhead in 'their rockets', only Israel does that. Makes you wonder why they used RV cameras from the Apollo age to record this. How come most of your sources are from Russian media? The Palestinians throw stones, while the Zionists shoot bullets.. the Palestinian make trivial movements, while the Zionists assault violently and brutally with war planes and destructive missiles .. you see the difference, or do you blind yourselves? If you think yourselves preferred by God and that He prefers you to other people, and if you think the Heaven (or Paradise) will be exclusively for you, apart from Muslims... then long and desire for death [so that you will go to Paradise (or Heaven) and prosper there], if you are truthful in your claim! Last edited by Torch light; Nov 13th, 2018 at 03:16 PM.. They come out with it first. Really, looks like it belongs on a Rez in the far north. [so He will misguide him, and he will come to the Next Life as a disbeliever: atheist or idolater, and will earn many sins, and so he will go to Hell. I said this to them, as a disciplining and teaching, and they may keep this in mind until they become older. Last edited by Torch light; Nov 13th, 2018 at 03:27 PM.. In addition, I told him about the interpreter and how he advised people to devote themselves to God alone, and to abstain from the enthusiasm about imams and sheikhs, and he told them that he was the Awaited Mahdi and he interpreted the Quran by God's inspiration ..
but most of people mocked him and said he was mad, while he was the most wise among them. I told him also that the interpreter did not claim this of his own accord, but he was tasked by an inspiring angel. I said: Do you read the Quran? The young man said: Sorry, but I am a Christian. I said to him: Even so, a large number of Jews and Christians will believe in the Mahdi. Moreover, the one who tasked him by inspiration (and he might have taught him the Quran interpretation) was the Christ, and may be another angel in addition. Last edited by Torch light; Nov 13th, 2018 at 03:48 PM..
Is there stones tied on to the front of the rockets? Defence Minister Avigdor Lieberman, who said he opposed ending the strikes on Gaza, scheduled an early afternoon press conference as rumours swirled that he would resign. The agreement also led to protests by several hundred Israelis living near the border with Gaza who called for further action against its Islamist rulers Hamas. Prime Minister Benjamin Netanyahu did not comment in detail on the agreement, but defended his strategy and said: "Our enemies begged for a ceasefire. "In times of emergency, when making decisions crucial to security, the public can't always be privy to the considerations that must be hidden from the enemy," he said at a ceremony on Wednesday morning in honour of Israel's founding father David Ben-Gurion. "What happened yesterday –- the truce combined with the process with Hamas -- is capitulating to terror," Lieberman told journalists in explaining his reasons for resigning. Palestinians celebrate in Gaza City after the declaration of a ceasefire on 13 November. 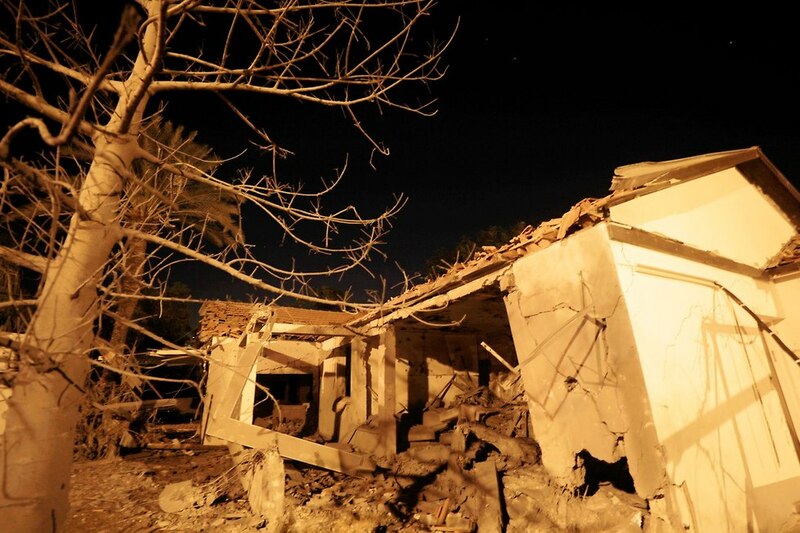 Mahmoud Ajjour APA imagesA ceasefire announced on Tuesday brought an end to more than 24 hours of airstrikes across Gaza and a massive barrage of mortars and missiles into southern Israel. If the past can be used it will be anytime Israel says they did. He HAS NOT NOTICED THAT God considers Jews to be sufficiently evolved that they only have to go to Church once or twice a week to save their souls!!!!!!!!!!!!!!!!!!!!!!!!!!!!!!!!!!!!!!!!! BUT God recognizes that Muslims are such unregenerate sinners that they must go pray five times daily in hope of saving their souls!!!!!!!!!!!!!!!!!! And Jews are SMARTER THAN MUSLIMS AS WELL!!!!!!!!!!!!!!!!!!!!!!!!!!!!!!!!!!!!!!!!!!!!! And the biggest beef Muslims have with the West is that we KNOW YOU ARE FULL OF SH+T!!!!!!!!!!!!!!!!!!!!!!!!!!!!!!!!!!!!!!!!!!!!!! It's Friday and night has fallen in Israel. It's the Sabbath. This means that Netanyahu's government will not fall, for now. Earlier Israeli PM failed to strike a deal to fill the vacuum left by far-right defence minister, Lieberman who opposed the truce, concluded earlier in the week with Gaza. France 24's Irris Makler discusses the situation. Both sides are nfg. Peds and sikk oos. Fake, Bs religion, materialistic, sexually autistic and they can't figure it out!!! Spewing Muslim propaganda like demented manure spreaders!!!!!!!!!!!!!!!!!!!!!!!!!!! that all their problem were caused by others!!!!!!!!!!!!!!!!!!!!!!! Cdns are NOT FOOLED by your crap!!!!!!!!!!!!!!!!!!!!!!!!!!!!!!!!! immigration rules and take advantage of our generous landed asylum program. the local Minnesota sheriff department in a statement. border crossings near Emerson, Manitoba. refused to even acknowledge the problem. of Canada Twitter account in March. more unsafe and illegal immigration. — aspiring migrants never make it to their desired destination. die each year while trying to illegally cross into safe countries. selves to find a new home. laws, often putting themselves and their families at great risk. the Mediterranean Sea alone while making the dangerous journey towards Europe. traffickers to circumvent immigration laws, will be turned away. migrants not to come to Australia. “NO WAY, you will not make Australia home” reads one poster in large letters. (It is sometimes surprising the range of criminal activities people will get up too. signaling, by contrast, may seem compassionate, but it puts lives at risk. You cannot blame one side of this without blaming the other. NEITHER side wants peace, NEITHER side wants to end this massacre of people. Until they do want peace, this will continue. You can no longer blame religion in this, but simple stupid, stubborn human ego. I was thinking more like Madagascar and put 30M from the top there so they can show us 'lesser races' how it's supposed to be done.